Are you tired of all the time you spend running payroll each week or month and, worse yet, filling out payroll tax forms? Or maybe you'd like to stop dropping hundreds and thousands of dollars every year hiring someone else to do payroll tasks for you. Hands down, no payroll option is as affordable as buying software for use on your own computer-especially for small businesses. For less than $100, depending on the features you need, you can purchase software to run on your own computer and do payroll yourself. Outsourcing payroll or hiring an in-house accountant can cost thousands of dollars each month plus additional fees for reports and tax forms. Online solutions come closer in affordability, but can still cost hundreds each month and often charge you per employee on top of monthly fees. If you want to get payroll tasks done faster and with fewer mistakes, you need to automate. Software run on your own computers offers the most opportunity for this. Most payroll software integrates with popular accounting software titles, like Intuit or Quicken, so you can share data between applications instead of re-entering information. Many software titles come with developer tools that allow your IT expert to fully customize your software and integrate it more completely with your existing software for even more time savings and efficiency. Plus, when taxes and deductions are calculated automatically, you reduce chances for errors. Security is critical for payroll data, which usually includes social security numbers and banking information. By using software on your in-house computer, you can control and be confident in your security measures, utilizing your own firewalls and secure servers. It's also easier to track who has access to the payroll-enabled computers and limit access from outside computers and hackers. You also control how frequently information is backed-up and where back-up files are stored. Need a payroll report right now? Want to run some projections or see how a new employee benefit will affect payroll? When you do payroll in-house on computers and software you control, you can compile reports and run projections whenever you want to without additional cost or hassle. Run payroll in off hours so you can spend business hours performing more relevant tasks. You also control which features you use and which tasks are automated. Depending on the size of your business and how you like to run things, you may want more or less automation. When you install software on your in-house computers, you have that control. While in-house payroll software has many advantages for a small business, you need to be careful about which software you buy. You could pay hundreds or even thousands of dollars for software with more features than you need. Or you may not get some of the features you require. Additionally, many of the software titles aimed at businesses are complex and require an education in accounting. You don't want to spend a lot of time learning new software, so make sure you look for software that has the features you need, doesn't require a huge learning curve, and is affordable for your business. 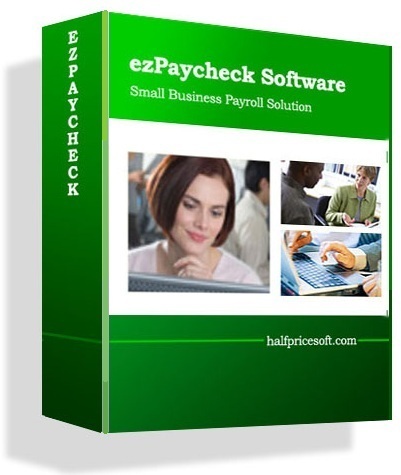 One such software that comes highly recommended by many small-business owners is ezPaycheck 2010 payroll and check printing software. This is a full-featured payroll software designed for the non-accountant user and is priced to be affordable for any size business. The developers of ezPaycheck 2010 even make it available for free download and trial at https://www.halfpricesoft.com. The trial version includes all the functions of the full version, with a trial time limit of 30 days. It even comes with a sample database so potential customers can try it without spending time entering data. There's no need to be confused about the payroll options available to you. If you need an affordable solution for your small business payroll needs that increases efficiency and gives you total control over your payroll, then in-house software is the way to go. Please feel free to download and try ezPaycheck free for 30 days. No registration need and no obligation.